Medscape just published an article worth reading. The information is from a prospective study of older adults living in the community, and showed a direct linear relationship between consuming one or two servings a day of leafy green vegetables and slower cognitive decline. In fact, eating leafy greens daily offered the cognitive equivalent of being 11 years younger. Amusingly, another expert said that it was “too soon” to recommend leafy greens, and advised waiting for further confirmation from future studies, a typical recommendation for new drugs but not typically applied to foodstuffs that healthy people have been eating for millennia. I do of course see his point, which is not to jump into thinking of leafy greens as a cure-all, but really now. 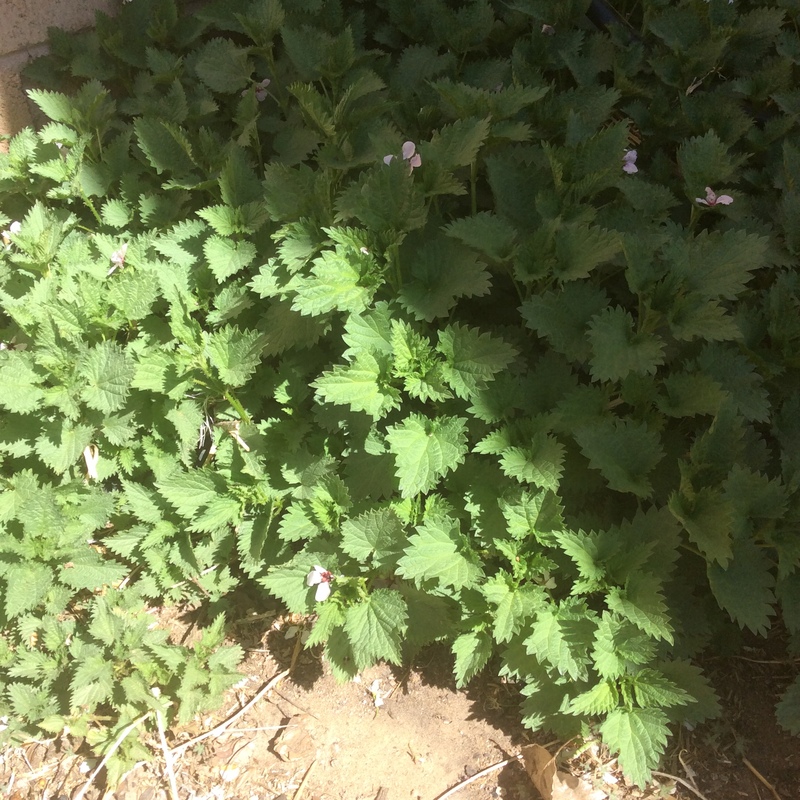 So here is my response as a gardener, a doctor, and an avid reader of research: don’t wait. Some of the longest-lived and healthiest populations in the world have had markedly high consumption of leafy greens. There is no downside and no dangerous side effect to worry about unless you are on warfarin. So just do it. You can read the article here if you want, and it contains a link to the study. Then, just do it. Grow them if you can. If you have a small garden patch, make an investment in your family’s health by filling it with greens. If you don’t garden, you can haunt your farmers market or start making foraging trips. If you prefer to eat salad, choose darker greens, not lettuce hearts or iceberg, and eat a big bowlful. 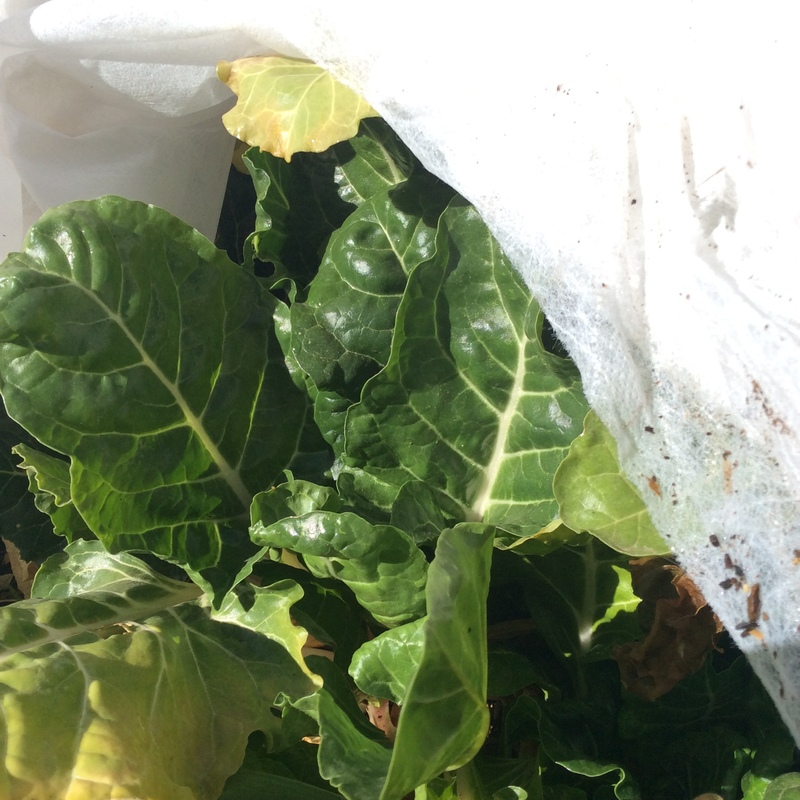 Right now I’m still eating last fall’s leafy greens from under frost blankets. 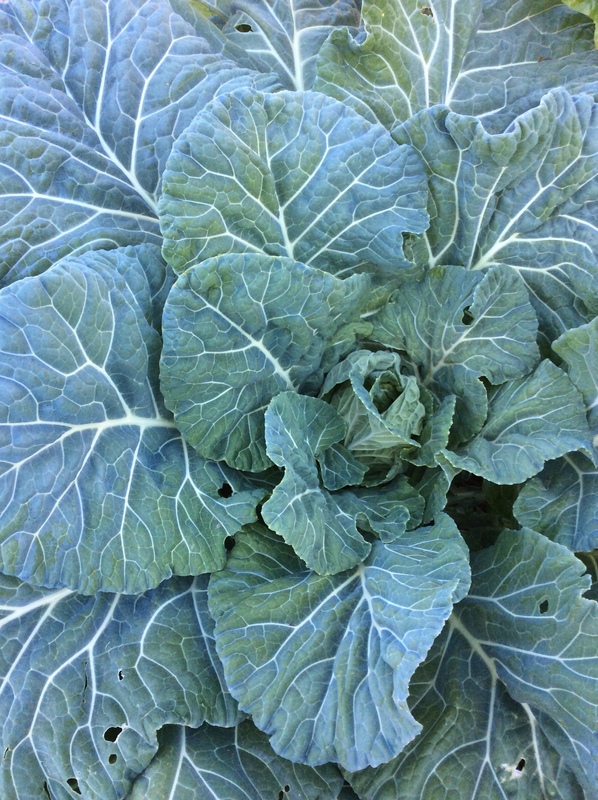 The collards and Savoy cabbage held up best, and are uniquely delicious after exposure to cold. I harvested Swiss chard for people and chickens all last summer, and then put a frost blanket over half the row. The new leaves of spring are the meatiest and most delicious that a chard plant ever produces, and the protected ones are nearly eating size, while the unprotected ones will come in some time next month. Just be sure to get them before the central stalk starts to elongate, because they lose their sweet meatiness and get strangely dirty-tasting when the flowering stalk starts to form. Green alliums are coming up everywhere, and my nettle patch is sprouting strongly. If you keep animals for food, feed greens to your animals (not nettles, but chickens do love the leftover cooked ones.) I have a carnivorous friend who eats supermarket meat and insists that he’s a secondary consumer of vegetables, and I keep trying to tell him that on the contrary, he’s just a secondary consumer of GMO corn. Unless you are buying animal foods known for a fact to be grassfed or pastured and not grain-finished, you aren’t consuming the nutrients of vegetables. But if you keep your own, it’s astounding what quantities of greens chickens will eat if they get a chance, while cattle, sheep, and goats can be raised to butterball fatness on grass and greens alone if you have enough. The nutritional profile of the eggs and meat is enhanced and the animals are much happier. I’ll have more to say about meat in the near future. 7 responses to this post. Thanks for bringing this study to my attention. I’m chomping at the bit for my greens to get to harvestable size! God bless! So much has been said about diet & heart health that most folks seem aware there’s a relationship. Thanks for getting the word out that diet is just as important for brain health! Up here in zone 5, I’ll be relying on Store-bought greens for a while longer, staring longingly at my snow-covered garden. Soon, very soon! 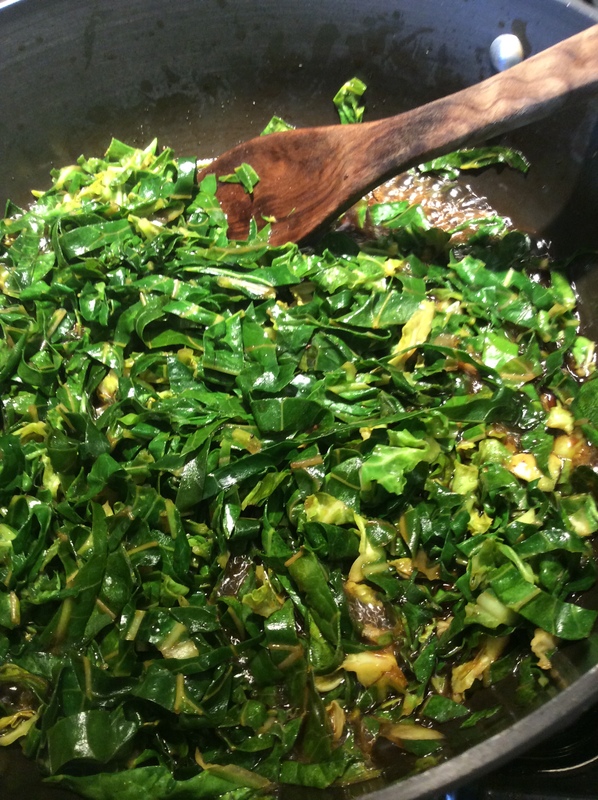 Definitely, far better store-bought greens than none at all. Not everyone needs to garden, but everyone needs to eat greens. The diet-brain connection is profound. In fact, there are researchers who think that Alzheimer’s disease could accurately be referred to as Diabetes Type 3. Among island people on Crete eating the true Cretan diet, not some vague “Mediterranean” mash-up, dementia was almost unknown. So keep at those greens! And good luck with the upcoming season in the garden. Maybe not everybody needs to garden, but I sure do! Have you seen the reports about M. vaccae? I always said gardening is cheaper than a shrink. Can’t say I’d agree with calling Alzheimer’s DM III, as I’m enough of a literalist to want to see abnormal serum glucose before using the DM label, but agree wholeheartedly that the connection is profound. Interesting that you should bring up Mycobacterium vaccae. I have been following the Old Friends hypothesis since back when it was crackpot, and now that knowledge of our biome has advanced so much and become so respectable, it is hard to remember that there was a time when the very mention of the microbiome would draw snickers at medical conferences.